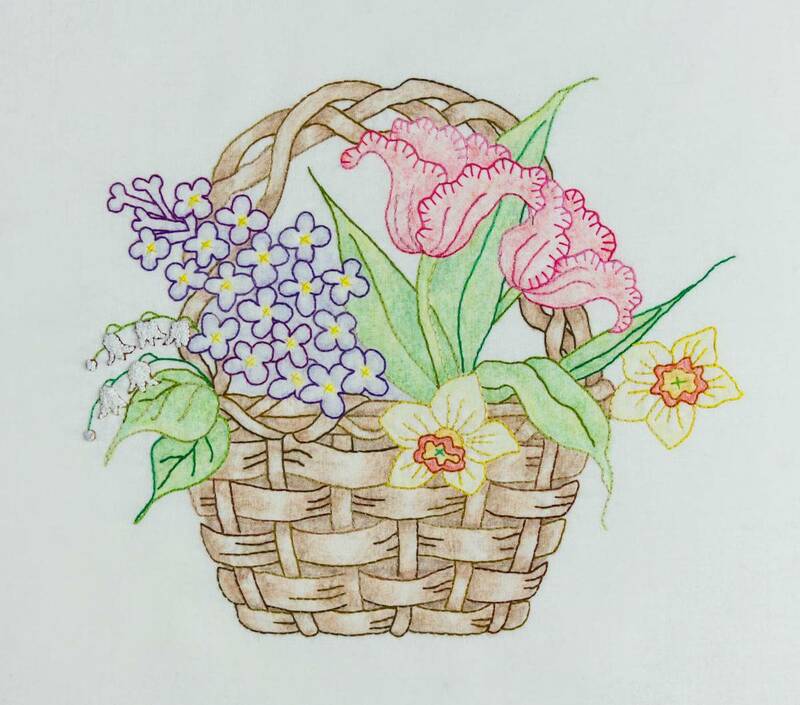 Tulips, jonquils, lily of the valley, and lilacs in a woven twig basket. Crayon tinting on this hand embroidered project adds depth and dimension to the basket and fragrant Spring flowers! Pattern is for the 10”x 8 1/2” image only.